Dubai, UAE, November 05, 2018: KRO Hospitality has acquired one of Manchester’s most popular and acclaimed restaurants, Asha’s, located on the city’s vibrant Peter Street. The award-winning Asha’s has been championing authentic Indian cuisine and culinary innovation since it opened its door in 2015. The venue occupies one of Manchester’s finest Victorian palazzo buildings, with stunning interior design and an extensive Indian menu. The restaurant is a firm favourite among customers, leading to it scooping several accolades at the English Curry Awards as well as being recognised in the Michelin Food Guide. The restaurant is set over 6,000 square foot with two floors at 47 Peter Street, opposite the old Theatre Royale, and caters for up to 100 people with a bar area for 60 people. 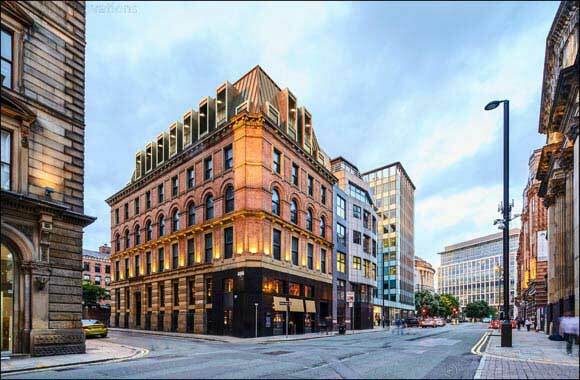 Asha’s marks the latest acquisition by KRO Hospitality which purchased the freehold of 47 Peter Street this summer with plans to create a stunning and luxurious 49-bedroom boutique hotel within the upper floors of the building. The new hotel, which is expected to open during 2019, will offer outstanding hospitality and some of the largest and most extravagant suites in Manchester. The Manchester based company also owns Canal Street’s sumptuous Velvet Hotel and neighbouring restaurant Mr White’s English Chophouse. “In addition to be a fabulously strong and successful brand, Asha’s also fits perfectly with our own vision for the building and with our company’s commitment to quality, luxury and outstanding hospitality”. “We’re progressing well with our exciting plans for 47 Peter Street, and I believe the combination of a stunning new hotel and the culinary excellence and attention to detail of Asha’s together in one building will be a fantastic draw”. General Manager, Helana Doskocz, will continue to manage the day to day operation of the restaurant together with Executive Head Chef, Ashwini Rangta. Asha’s Restaurant International Ltd the current brand owner features 17 restaurants globally operating in five countries primarily in the Middle East. Four further restaurants are due to open in 2019 in Abu Dhabi, Kuwait, KSA and Solihull Birmingham (UK) . KRO Hospitality were represented by Lee Magner, who heads up the Hotel and Commercial Real Estate team at London solicitors Lauriston Saggar LLP.